Even though it is not as close as Schiphol, Eindhoven Airport has many opportunities for those wanting to take advance of the holidays and long weekends awaiting in spring and travel across Europe. 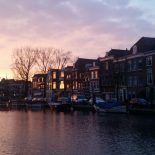 Why would you choose to travel from an airport that is 3 hours away while the Schiphol is basically at the doorstep of Leiden with a short train ride of approximately 20 minutes? Simple as it is: it is cheaper, at least most of the time. Low fare airlines who primarily target students and backpackers such as Ryanair, Transavia and Wizz only fly from Eindhoven airport. If you keep an eye on the deals, you might find tickets starting from only 15 EURs. How great is it? As I said, yes, it is relatively further away from Leiden. Still, it is quite easy to get there. You first need to take a train to Eindhoven centrum which lasts 2,5 hours from Leiden Centraal. Usually, you will be changing in Utrecht, the main hub of the train network in the Netherlands. Now that you made it to Eindhoven. You might even go a bit earlier and wander around in Eindhoven which is a more industrial city than traditional Dutch cities. All you need to do is to change to a bus that leaves directly from outside of the train station and takes only half an hour and ta-da: Eindhoven Airport. As it is mostly low fair airlines leaving from there, Eindhoven Airport is a small and cute one. However, this also means there aren’t as many options as in Schiphol when it comes to food. There are a small Alberthein To-Go and a nice La Place restaurant. Prices, on the other hand, are a bit expensive in the restaurant; soup for 5 EUR and sandwiches are for 8 EUR and higher. Thus, it might be a good idea to bring some food with you to have your lunch (or dinner) there before your flight. Despite being a relatively small one, Eindhoven Airport still serves quite a few people. This means there are usually long queues for security checks. Thus, try to leave enough time between your arrival and the boarding time. Examples of most popular destinations flying from Eindhoven Airport may be given as Lisbon, Madrid and Rome. How nice will it be to take a cheap flight to the warm lands of the sun? Did you ever fly from Eindhoven Airport or are you planning to? Share your destination in the comments! This entry was posted on April 11, 2019 by Esra@theleidener in Esra, Travel and tagged Airport, eindhoven, howtotravel, ryanair, theleidener, travel, travelhacks, travelling.